Starting a blog is like getting a puppy. You don't do it because it's the 'trendy' thing to do, or because you just crave the excitement of the early stages. It's a commitment. You need to nurture it, ensuring it grows into a strong and healthy dog ... I mean blog. What we're going to show you in this article is how blogging is such a useful tool for jobseekers. We'll go through how to start a successful blog, what you should be writing about and how to promote it. Ready? Let's go! To get this out there early on: 80% of bloggers fail in the first 3 months. There, I said it. Intimidated? Well don't be. Reasons for blog failures vary dramatically - from loss of passion, lack of time, or poor execution - but this shouldn't put you off. Not one bit. I'm making a sweeping statement when I say this, but the primary reason for a lot of blog failures is down to subject matter. Choosing the wrong subject to blog about (a topic you feel you 'should' cover rather than 'want' to cover) has a huge impact on enthusiasm. Having a blog that releases consistent, well-written content can do wonders for your career. When a person's enthusiasm for their blog dips, the priority of posting to it suffers. This leads to an attitude of "I'm too busy to write this week" or "oh I'll finish that post tomorrow". But we all know 'tomorrow' never comes does it? You're probably thinking by now that I'm trying to dissuade you from blogging - what with all of these negative stats and pessimistic pointers. But by highlighting these things early on we've already addressed the major issues that cause failure. And by doing this, we can only learn how to succeed, right? Deciding to start a blog in the first place boils down to having a reason or purpose to it. That reason can be to provide useful information, to fill a niche in the market, or simply to express your opinion on any given subject. Whatever the reason may be, having a blog that releases consistent, insightful and well-written content can do wonders for your career. Why? Well apart from sharing your knowledge with the world, it shows the kind of tenacity and reliability that employers crave. It shows your ability to communicate effectively and push your passion into a wider audience. Think about it. A blog is like an online portfolio. In one click, an employer can be linked from your CV (which is of course a document providing vital statistics on why they should hire you), to your blog itself (which is, if done correctly, a place proving these capabilities). Personal blogs are like a window into a person's thoughts and hobbies. They're an ice-breaker, a conversation-starter. With competition for jobs as fierce as ever, candidates are trying even harder to stand out. But fancy CVs aside, all of the style in the world won't land you a job if you don't have the substance to match. A blog is just that: substance. Should I start a blog with the specific intent of getting a job? Absolutely not. Taking this approach is the first step to failure. This would likely lead you down the path of passionless procrastinating, and your blog would eventually stagnate in the vast graveyard of the internet. We don't want that to happen. 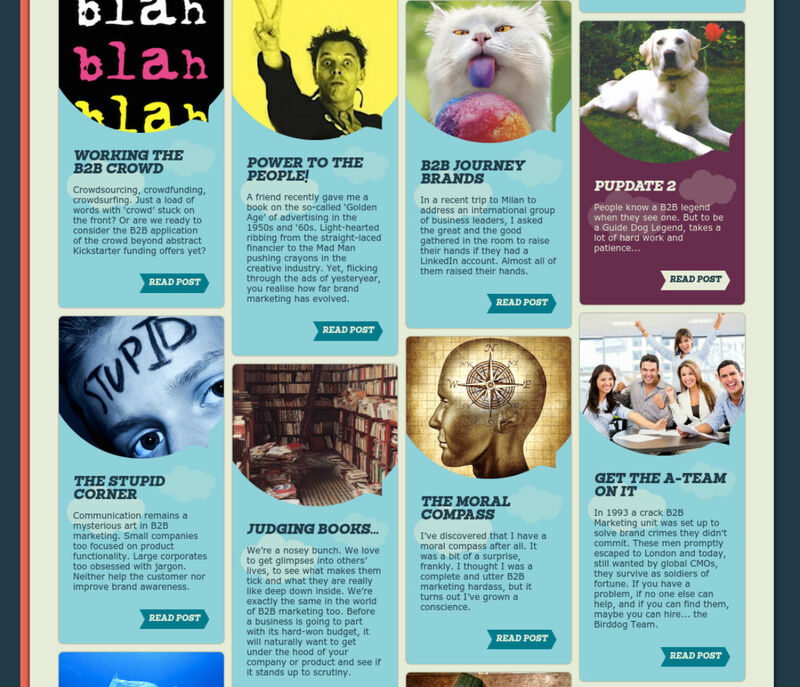 So here's the first tip to starting a good blog: cover a topic that genuinely interests you. Personal blogs are like a window into a person's thoughts and hobbies. They're an ice-breaker, a conversation-starter. This is a great way to network with people (ie. potential employers) in a more relaxed manner. A blog isn't too forward, shouting 'Hire me! Hire me!' at them - it's something they can read, whenever and wherever they like, to get a sense of who you are as a person. Employers like doing this, as it helps them get a feel for the suitability and cultural fit of a potential candidate for their company, reducing the risk of making a bad hire. Am I 'interesting' enough to blog? The great thing about blogs is that they can be about anything. I mean, even if you're the most boring person in the world (which I'm sure you're not), you could write a blog about being boring. The possibilities are endless. So before even looking at designing your blog - something we cover later on - let's decide on what you want to talk about. Fancy CVs aside, all of the style in the world won't land you a job if you don't have the substance to match. A blog is just that: substance. First off, if one of the reasons for the blog is to get your work 'out there' and seen by potential employers, then it makes sense not to blog about controversial topics. Although there are plenty of them out there, and they do spark a lot of discussion, this approach could be a little risky. You're best avoiding heated, divisive topics - just incase it repels the perfect employer. That said, if you're looking to get into politics, then this advice might not apply! This is arguably the biggest decision, In fact, definitely, the biggest decision you'll face when starting a blog. A good blog needs to have some kind of direction or theme. If your posts are erratic and cover a wide range of things, then you risk stifling your audience. Don't get me wrong, some blogs do this and do it well - but they usually always return to a common subject or central theme. A safer, and generally more successful, approach is to define what your blog is going to be about. To help you out with this we've got a little exercise for you to complete. 1. What career are you working (or looking to work) in? 2. Does this career path tie in with a hobby of yours? 3. If not, then what is your favourite hobby? 4. 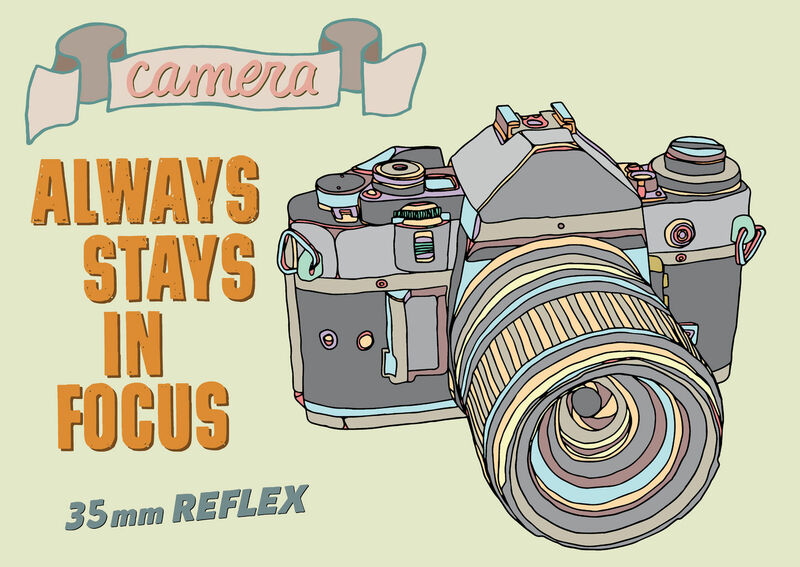 Is your hobby a daily / weekly / monthly routine? 5. Is it visual (photography), active (sports), or written (stories)? In answering the above questions you're starting to qualify what subject would best suit your very own blog. If you are one of the lucky individuals who happens to work in a career that satisfies your hobbies and interests (Q1 & 2), then that's great. This will not only channel your passions, but it will directly appeal to the types of employers you're looking to impress. Use visuals as a hook that will entice your reader to commit to your written content even more. If your hobby doesn't necessarily tie in with your career, don't worry! You should still choose to blog about something you're really interested in, as this will keep the 'fire in your belly' alight. Vlogging vs. blogging: what's the difference? If you're at all active on social media or YouTube, you'll be aware of the term 'vlog'. If you're not aware of this, then come out from under your rock and listen up. A 'vlog' is basically a 'video blog'. Who would have guessed it? Much like blogging, vlogging is a way for the 'vlogger' to post weekly or monthly video content, either to their site or via YouTube, for people to enjoy. 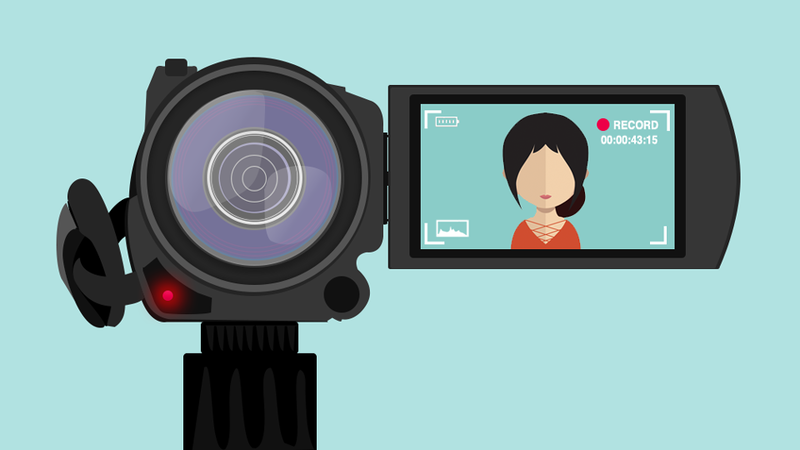 The biggest evolution blogging has faced in recent times: video content is on the rise. Vlogging isn't just a hobby for some people either. Some make lots of money from it. "How much is lots?" I hear you mutter. Try over £5 million per annum. With video content on the rise, more people are getting hooked on following these vloggers. And the ability to do so has become even easier, since Facebook and other platforms have introduced the ability to live stream videos. When you're designing your blog, getting the layout and colour scheme right is almost as important as the actual content. Has vlogging killed blogging then? No. There are plenty of thriving blogs out there, totally unaffected or threatened by vlogs. 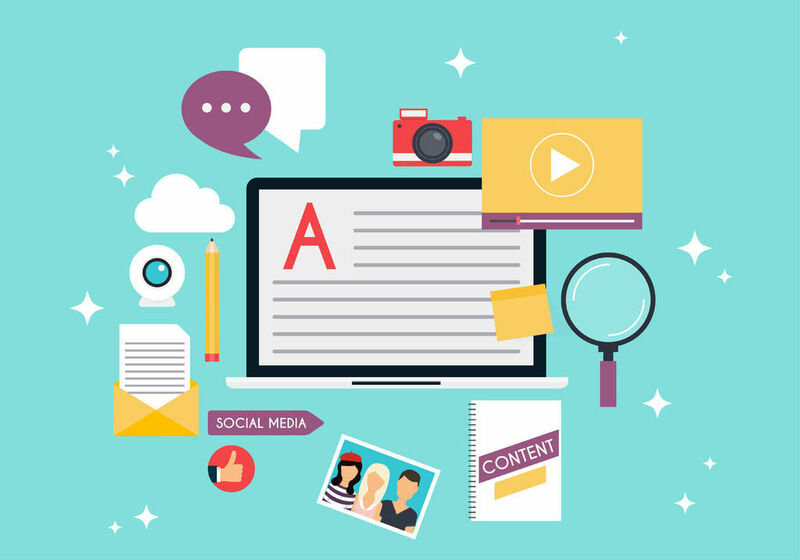 The need for written content is just as powerful as video, as certain topics simply wouldn't work otherwise. Lists and step-by-step instructions are essentials if you run a cookery or beauty blog. How-to guides also benefit from having written instructions and diagrams - as this will account for a person's ability to follow them at a certain pace. Sometimes people can't watch a video due to being in work, or having low bandwidth on the move, so written content is still very important and in-demand. However, it is good to give your blog's content format a bit of variation. Some weeks you could consider offering a video as part of your post, others maybe an image gallery, and so on. This keeps your audience interested and makes your blog vibrant and media-rich. As the old saying goes, variety is the spice of life! At this point you're probably wondering how to start your own blog. You've likely had a gander at some great blog examples and feel a little daunted by the prospect of doing your own. After all, you're not a website designer right? Well even if you are, this isn't a necessity when it comes to starting a blog. Back in 1999, it was estimated by Jesse James Garrett that there were just 23 blogs on the internet. By June 2006, there were 50 million. Make your design functional. Just because you know there are invisible buttons that turn a trendy magenta colour when hovered over unveil your archive page, doesn't mean your visitors will. As a result of this rapid growth, there are now many companies offering simple blog hosting and creation platforms for anyone to try. Companies like Wordpress, Blogger, Wix and Weebly all offer user-friendly, 'drag and drop' interfaces - meaning that anyone with basic computer knowledge can give it a respectable go. It's almost always free to signup and start creating, but there are usually additional fees if you wish to remove advertising, access premium features and attach a domain which doesn't feature the host's name. 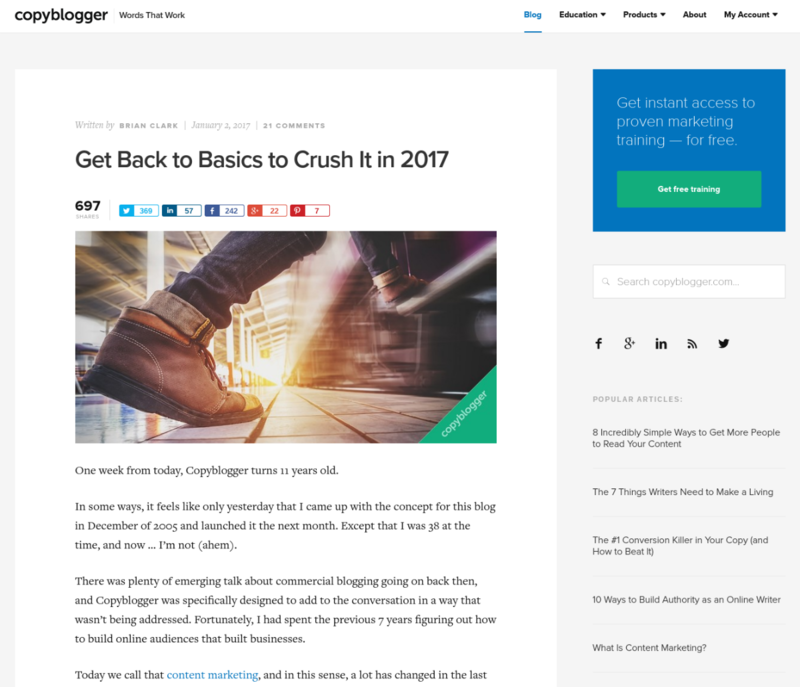 You can see that Copyblogger utilises a minimalist approach, emphasising the writing more. However, Birddog have gone with a 'collage' effect for their posts - using colour and eye-catching imagery to draw the reader's eye. Both methods work well in their own ways. Getting the colouring and tone right for your blog is pretty important if you wish to increase your visitors' time on page and engagement with content. If you visited a photography blog, would you be thrilled to find masses of white pages with reams of text on them? No. You'd expect the text to be broken up by wonderfully bright images. Slow and steady wins the race, so consistency is something to chase! If you went to a food blog you'd expect enticing images of each dish, along with easy-to-follow ingredients lists and step-by-step cooking instructions. It's important that you give your reader what they want and expect. As fickle creatures, humans tend to judge books by their covers, so choosing the right tones and imagery goes a long way to helping them make their minds up as to whether they even bother to read a word of your work. The style of your visual content is crucial in presenting your 'vibe' to the audience. From the image above, a person could arrive at numerous assumptions about the blog that would follow. The pastel colour palette, along with the illustration style and fonts, would lead me to expect a quirky, stylish, retro-style blog. Do you agree? If so, then the content would need to reflect this vibe. Whatever style you decide to use for your blog, here's a helpful colour palette tool which can assist you with picking a striking combination. Now that you've established what your blog is going to be about, and how it's going to look, you now need somewhere for it to live. If you've signed up to a blogging platform like Wordpress, unless you have paid for premium, it's likely that your domain looks something like 'www.myblogsname.wordpress.com'. Sat amongst millions of other blogs, quirky titles could create enough intrigue to steal a click. If your blog was going to become a commercial business further down the line, you'd probably want to remove the Wordpress branding from there. However, for personal use, it's totally fine to leave that part in. There are thousands of successful personal blogs out there with the platform brand still in their domain name. 1. What your blog is actually going to be about. 2. Whether you want this directly reflected in the title. 3. Whether you want to go conceptual (and just how conceptual to go). Calling your blog something like The Fox Is Black or Milk the Pigeon, doesn't really tell the world what you're about. However, sat amongst millions of other blogs, quirky titles could create enough intrigue to steal a click. These types of titles work best with creative industries - such as art, photography or film. And, even then, in order to pull off a title like this, your visual content and overall tone in the blog is crucial. When I hear the word conventional I can't help but think 'boring'. If you're dubious about using a title that's a little too 'out there', then fear not. You can still come up with a catchy name for your blog , without being too obvious and mundane. How? Through the power of association. For example, if you're writing a blog that focuses on men's fashion, let's say more specifically the 'hipster' look, you could think outside the box and create a name that people will automatically associate to that particular style niche. So you could call it 'checks and tats' or 'beards and braces'. Or, if you're doing a classic car renovation blog , instead of simply calling it www.classiccarrenovation.com (a bit predictable and lengthy), why not 'The Rusty Piston' or 'The Scrapheap Saviour'. These are much more brandable, have more personality, yet still give the reader a clue towards the content. As blogs are so varied, both in style and subject, it can be difficult to generalise what 'makes a good blog.' The presentation and delivery of your content is ultimately determined by your industry demands - but we've listed five key features that are a must for your blog if it is to prove successful. Have you ever visited a snazzy-looking website, only to find that navigating from page to page is far too complicated? Just because you know there are invisible buttons that turn a trendy magenta colour when hovered over unveil your archive page, doesn't mean your visitors will. Pretty self-explanatory. The content your blog produces needs to provide some benefit to its reader. Striking a balance between providing opinion, debate, instruction or news that will interest a lot of people is crucial if you want to grow your blog and appeal to as many people as possible. Creating the blog and producing the content is only 50% of the job. The next 50% comes in the promotion, interaction and hype you create around each piece. How many of you will scroll to the bottom of an article before you decide whether to read it or not? I know I do. This is our brain subconsciously checking whether the content looks as though it will serve our needs or answer our query. They say a picture says a thousand words and this is true - providing you choose the right pictures. Use visuals as a hook that will entice your reader to commit to your written content even more. There as so many blogs out there that start enthusiastically, but burn out within a couple of months. The key is to be consistent and plan your content production and its release. Instead of churning out your best ideas within a couple of weeks, put together a strategy that consists of posting schedules, targeted subjects and their cultural relevance. Slow and steady wins the race, so consistency is something to chase! Lastly, and this is something that will come as a result of the previous four points being executed successfully, growing your audience is an essential feature of any good blog. You could produce groundbreaking stuff, but with nobody to read it, it will never be recognised for its true worth. Create engagement between your followers by having a comments section, contributing guest blog posts and having an easily accessible 'contact me' page. Once you can confidently tick off all of the above from your to-do list, you're on your way to blog-stardom. Now it's time to get out there and show the internet world what you can do. What is Search Engine Optimisation (SEO), and why is it important? This is a task which many new bloggers know they should be doing, but don't quite understand how. A quick search on the internet will give you a brief idea of what SEO is, but it's a vast subject that takes continuous refinement and experience to master. The rules are always changing too, so once you get the hang of certain methods, Google (and the other search engines) shifts the goalposts. So to become a true SEO expert, you must be willing to learn new things on a regular basis, and keep one finger on Google's pulse. The reputation of any sources you refer or link to is important when it comes to SEO on your blog. Backlinks are your metaphorical web of links coming back to your blog from other websites. The more backlinks you have, generally means the more traffic you'll receive. For this to be a worthwhile exercise, it's important that the websites linking to you are relevant to your subject in some way, and ideally an authority in the search engines (ie. a trusted source that is used by many). You can build up your backlinks by promoting your work on suitable channels of social media, or simply contacting a journalist or influencer with your piece (but only if it is of genuine relevance to them, on a subject they cover). As mentioned above, the reputation of any sources you refer or link to is also important when it comes to SEO on your blog. Google will see what websites you link to and can make assumptions on your content based on this. So if you're always linking to low quality websites that are renowned for providing unsubstantiated information, then of course it's going to be seen as less reliable / helpful than linking to reputable destinations like, for example, the Guardian or the Office for National Statistics. Also, when linking to an article or news story, the anchor text you link up is important to the SEO performance of your blog. "Sometimes even 5 great recipes for chocolate cake isn't enough, so you have to get creative ..."
In terms of providing a link in that sentence, I'd opt for '5 great recipes for chocolate cake'. It provides enough information for the reader to want to know what those five recipes are, but remains relatively short (the ideal length of a link is usually between 5 and 7 words). If you just linked the words 'chocolate cake', or 'recipes', it's more vague and provides less motivation for the reader to click it. Anchor text is about using common sense most of the time. More often than not, you'll be aware of what text seems the most natural to link up, based on the subject matter and the title of the article it's going to link to. Use your intuition with this one. Lastly, you want to take some time considering the headings and keywords going into each blog post, for maximum visibility in the search engines. If you're covering a topic in detail, then try to ensure each subheading reflects a different area of that topic. To know what I mean, take a look back through this article and see how I've sectioned it into parts like 'what to blog about', 'designing a blog', 'promote your blog' etc. This not only makes it easier for the reader to navigate and digest, but it makes it easier for the search engines to determine how relevant the content of your blog post is to any given search query. Of course you will face competition for popular keywords, but you can use tools like Google Keyword Planner, SEMrush and even some WordPress SEO plugins to track and monitor which keywords are worth going after. These three points are just the start when it comes to building up a successful and consistent SEO presence on your blog - but they will help you to find the right track from the get go. With north of 150 million blogs on the internet today, and a new blog being created every half a second, everybody wants to be heard. The likelihood of you producing an article on a subject that's never been covered before is unbelievably slim. Therefore, making people choose to read your version of a well-covered topic is all in the art of promotion. There are many people out there that will spend hours creating a blog, producing some content and then sitting back and waiting for the internet world to discover their genius. Except it doesn't work like that, does it? Using every avenue of social media you possibly can is a free way of sharing your work to all kinds of demographics. Creating the blog and producing the content is only 50% of the job. The next 50% comes in the promotion, interaction and hype you create around the piece. 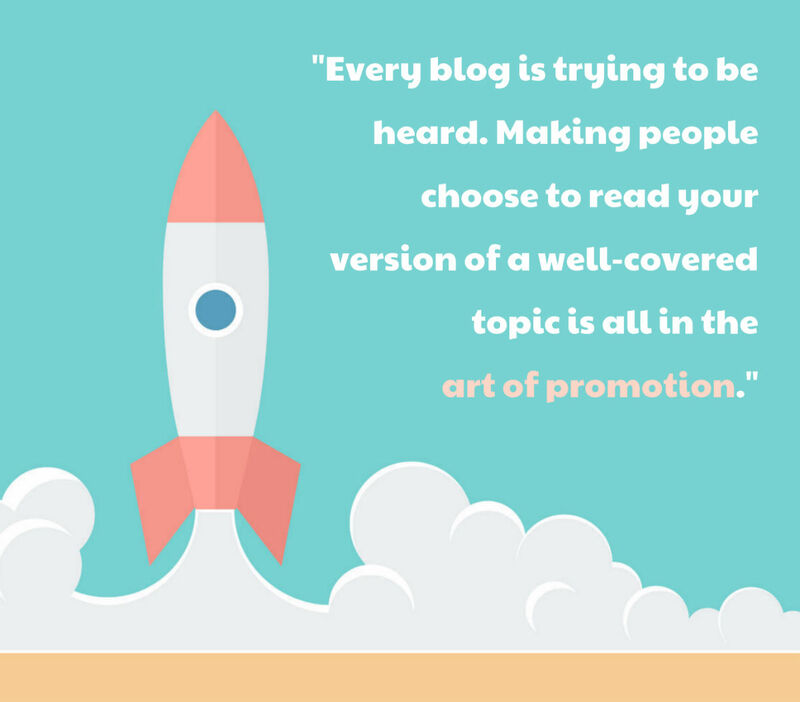 This article on tried and tested ways of promoting your blog posts, by HubSpot, features a comprehensive infographic that explains the best methods of promoting your new blog posts on various channels. Using every avenue of social media you possibly can is a free way of sharing your work to all kinds of demographics. You can then monitor which demographics seem to respond best to it and start to fine tune your content accordingly. It really is quite fun! Grow your community on Twitter or LinkedIn by interacting with other content too. Comment on similar topics, like other people's posts and, trust me, in time it will start to pay off. You will soon become seen as an expert in your field, having built a network around your blog's core subject. Be efficient in replying to any comments you receive on a post. Reply to those comments with questions where possible. Generate a buzz ... you might just go viral. What industries are best served by blogs? Blogging isn't for everyone, and this applies to industries too. And, while a dash of creativity will light up the most boring subjects, it's important to understand which sectors are best served by blogs. When you stop to think, it's fairly obvious that anything within digital media, marketing and copywriting see blogs as crucial reference points for information and discussion. Blogs, by their very existence, fall under this category. Get an idea of the potential size of your audience before you start writing. This way, you'll know what you're working with, what you're aiming for, and how to get there. However, if you're a Carpenter or a Bricklayer, you're less likely to crave a blog on your area of expertise - simply because the task / sector doesn't demand it. This isn't to say that any industry which is non-related to digital media wouldn't work. Automotive and catering blogs always prove very popular, along with arts and crafts. The saving grace with these subjects is that they can be enhanced with stand-out images, contain consumable information, and target the masses. However, a blog about, let's say, quantum physics, wouldn't appeal to quite so many. I guess the point of this section is to get an idea of the potential size of your audience before you start writing. This way, you'll know what you're working with, what you're aiming for, and how to get there. Is the industry changing a lot? Does it rely on thought collaboration and shared experiences? If the answer is yes to both of these, then it might be worth writing a blog for! Hopefully after reading this article you know a lot more than you did about blogging, the creation of blogs and the ongoing promotion required. If you're going to produce a blog that continues to generate interest, then it's important that you learn and adapt to your audience as you go. You'll get a feel for the topics that they seem to enjoy, the questions that they want answering etc. And, if you're not, then ask them. Give them the opportunity to contact you. Getting feedback from your readers is always a good thing, as it means your content will be as targeted as possible. The future looks bright for blogging. Although there are many blogs out there now, don't feel as though you've missed the boat. If you are consistent, produce useful content, and promote your work effectively, then you needn't worry. It pays to keep track of what the latest blogging trends in 2017 might be, so that you can stay ahead of the curve. If you've found this information useful, then feel free to share it with your friends. 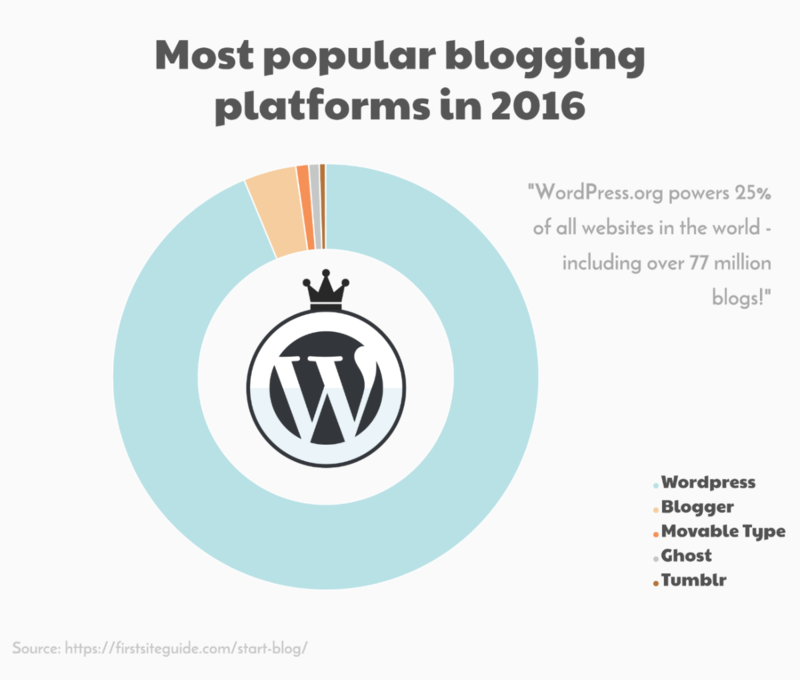 It might just give them the boost they needed to start a blog in 2017!